I Love You More Than Carrots: Loyals, Meet Apothica and my Bestie, Bobbi Brown. If you've been a frequent reader during these last few weeks, then you've noticed the sneaky little blurb that magically appeared at the top of my left hand sidebar. Loyals, meet my newest sponsor, Apothica. If you're not yet familiar with this beauty maven then you must head over immediately and check her out! As stated on the Apothica website,"Apothica.com is an online beauty boutique, which carries the finest selection of skin care, body care, aromatherapy, and cosmetic products on the market today, including the most natural, organic products available. We are dedicated to providing you with high quality products formulated to promote and enhance your natural beauty. " And dedicated they are! I cannot say enough about the darling customer service that I have been privy to over these past few weeks. Chances are you've heard of SkinCareRx and SkinBotanica and each of these companies are partner sites of Apothica! Pretty darn sweet, if I do say so myself! We all know make-up is one of my biggest guilty pleasures. Most days, if it weren't for Bobbi Brown, this Mama wouldn't be able to leave her house without wearing a brown paper bag over her head! Looks like I'll be ordering refills of some of my must-have-can't-live-without's from Apothica very, very soon! 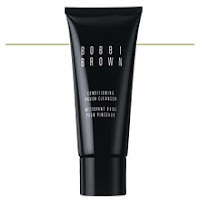 Bobbi Brown - Bronzing Powder in Golden LightSuffice to say this Mama hasn't seen a tanning bed, let alone sunless tanner in ages. There just aren't enough hours in the day to allow for such novelties anymore! My quick fix? This bronzer. Goes on light and is the perfect sun-kissed look. Perfect as in, I don't look at all like Snooki which is my biggest fear when it comes to bronzers/tanners, etc. Bobbi Brown - Long Wear Gel Eyeliner in Sepia InkI LOVE this stuff. I use a tiny angled brush to apply it to both my upper and lower lids and once applied this stuff stays put for hours on end. What more could you ask for from eyeliner? I just love that when I use this product, I won't end up looking like Rocky just a few short hours after applying it. Bobbi Brown Brush CleanserSpeaking of brushes, I spent an extraordinary amount of money on mine. Like, more than I would truly care to admit. That being said, I spent a long time trying to find the perfect brush cleanser. There were a few that were too oily and left behind a strange residue on the brushes. One even had this god awful chemical odor that nearly knocked me off my feet and made my eyes tear. Finally, I came across Ms. Brown's cleanser. Perfection, indeed. Especially ever since I started using BB's gel eyeliner. Just a small dab on the brush once per week and this cleaner leaves my brushes feeling extra soft just the way I like 'em! So, most importantly, how can YOU bring a little bit of Bobbi and Apothica into your home? Go ahead and get on their website and check out the amazingness that is Apothica. you could do that also! I told you exciting things were happening around these parts... Happy Friday, Loyals! My mom gave me a Bobbi Brown book back in the daaaayyyy.. I gotta dig it out. Love that thing! I'm kind of embarassed to say I have never heard of Apothica! I will have to check it out now! I'm a faithful Bare Essentials, Trish McEvoy, Laura Mercier and Lancome girl! I have been looking for a good brush cleaner for ages. I am going to order some of the Bobbi Brown and try it out!!! I guess I'm in the dark since I've never heard of Apothica OR Bobbi Brown! I'm a creature of habit with my bare minerals! 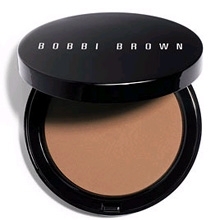 i love me some bobbi brown.